Your child’s oral health is important, especially when it comes to overall health. At Long Family Dental, most dental procedures that your child would need can be performed right here in our office. It’s important to understand that a child’s mouth is developing at a fairly fast pace when they are young, so bringing them in for a dental checkup and other services as needed is essential for optimal health. Our dental team wants your child’s teeth to look and feel great as they make their way through the early years. Providing excellent dental care now can help keep their smiles in terrific shape for the future! Why Choose Long Family Dental for Children’s Dentistry? 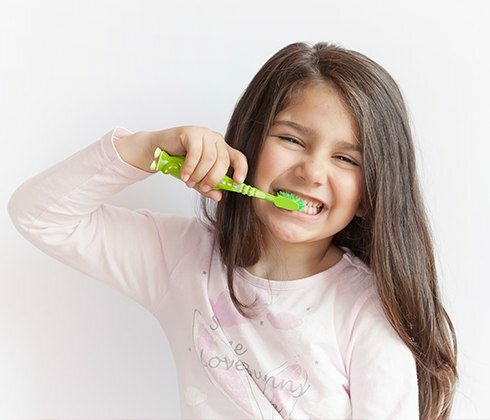 We can help your son or daughter achieve great dental health by teaching them how to care for their teeth and discussing diet as well as oral habits. But we only have them for a short time, so it is vital that parents support proper dental hygiene at home. Encouraging children to brush and floss, helping as needed, and providing a proper diet is key. The American Academy of Pediatric Dentistry estimates that more than 25% of children ages 2 to 5 suffer from tooth decay. It increases with age as 50% of 12 to 15 year olds have tooth decay. Most often, this is the result of a failure to monitor and maintain oral health in younger patients. 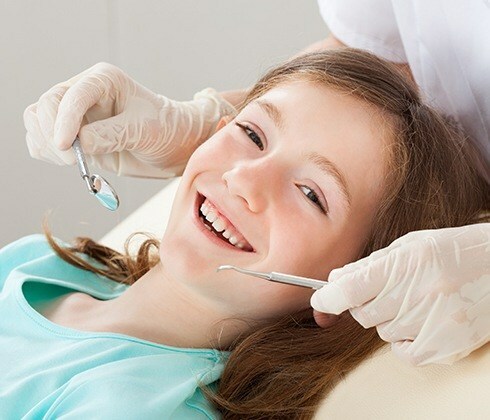 Even with good home care, children need regular dental checkups in order to prevent conditions that progress to the point of pain and great expense. The doctor will evaluate your child’s mouth for any problems and create a treatment plan as needed. Sometimes, a cavity develops past the point of a filling and a root canal is needed. This is true even for a baby tooth and is necessary to protect the dental structure. A stainless steel crown is placed once the baby root canal is complete to protect the tooth. Although this is a more involved procedure for children, it can be done comfortably right here in our office. Giving children a successful dental experience when they are young allows them to grow into great adult patients that understand the importance of oral health. Whether you are in the Midlothian or Cleburne area, we are available to serve your dental needs.